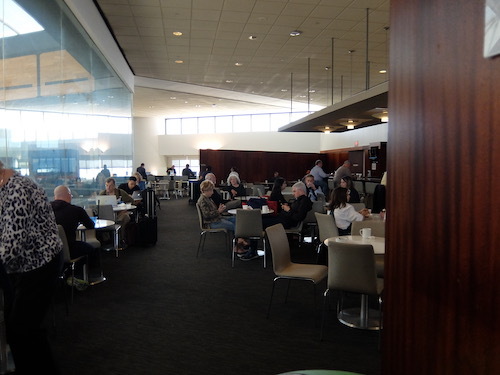 We popped into the United Club in Newark Airport, New York before boarding our flight to Los Angeles on our Lufthansa round the world trip. 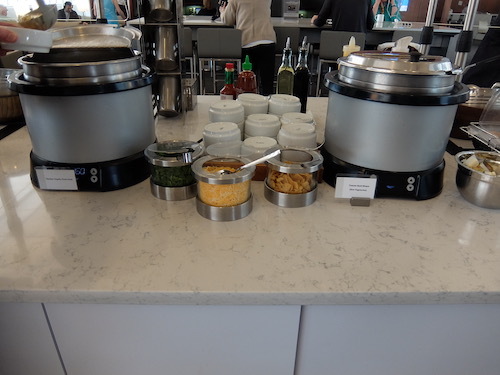 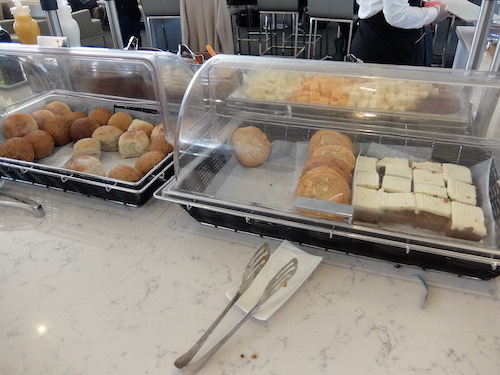 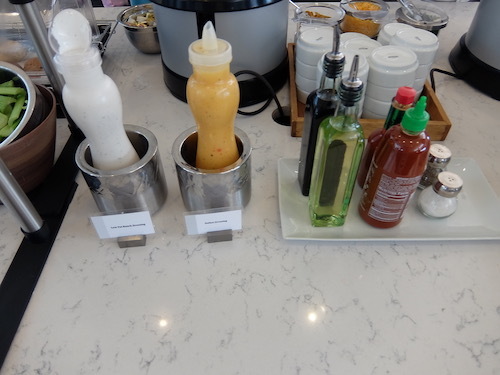 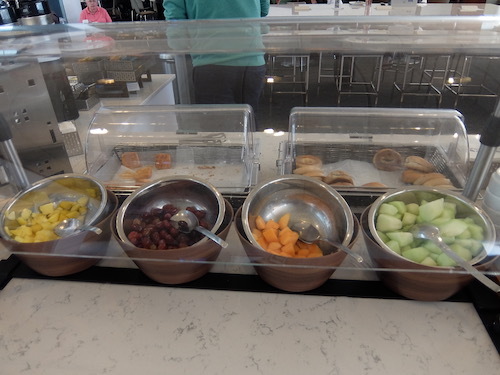 The United lounges are all looking a little tired these days and are currently being replaced by the new Polaris lounges that will offer full dining services as well as bars and shower suites. 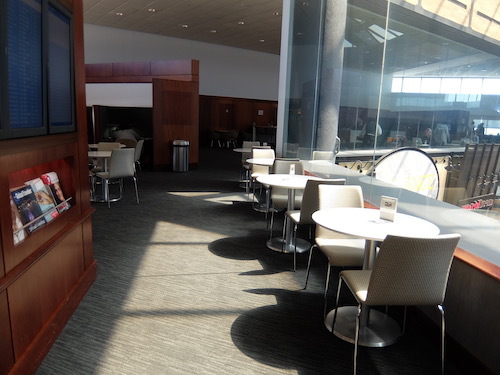 The United Club at Newark is located up a small flight of stairs and is circular, Set around a central atrium that provides plenty of light. 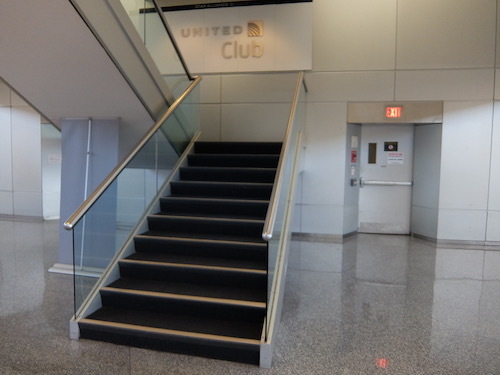 Entrance to the United Club at Newark Airport. 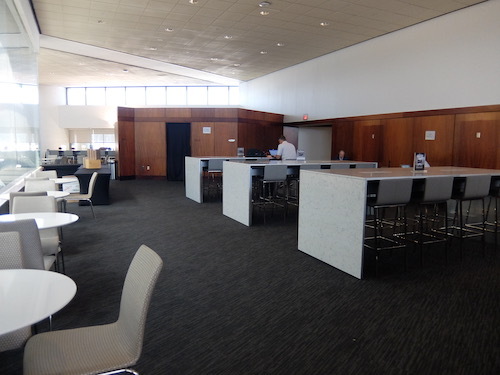 A central atrium provides plenty of natural light. 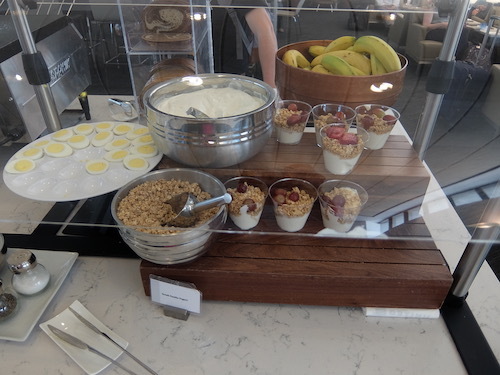 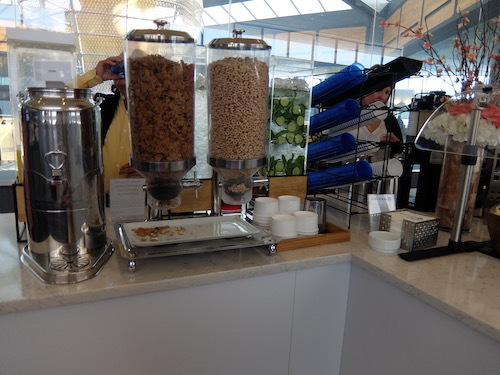 We were at the lounge around 11am, initially the buffet was Set for breakfast with cereals, fruit, juice and tea and coffee. 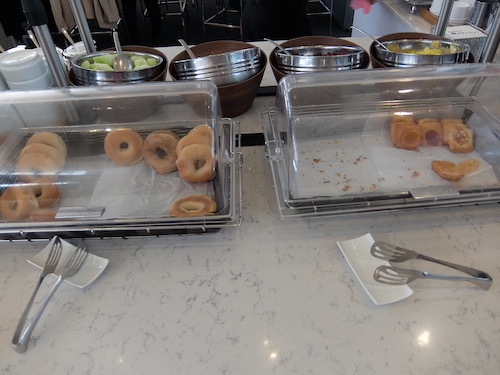 The buffet was then switched to lunch including soup and bagels. 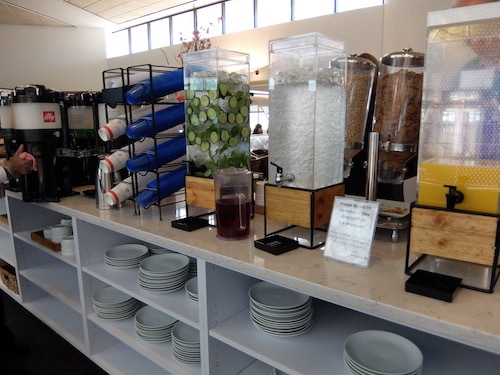 We were disappointed to miss the Mimosa Station that was being Set up for 12pm, right as we had to leave to board our flight. 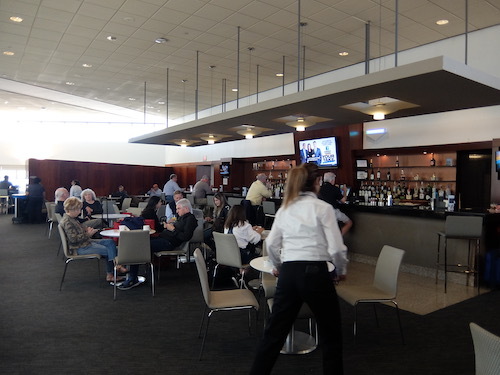 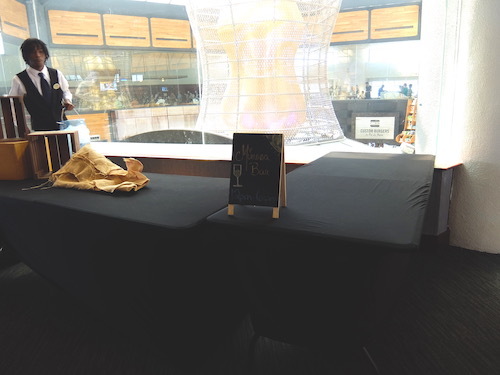 A bar is located in the centre of the lounge, with some complimentary drinks available. 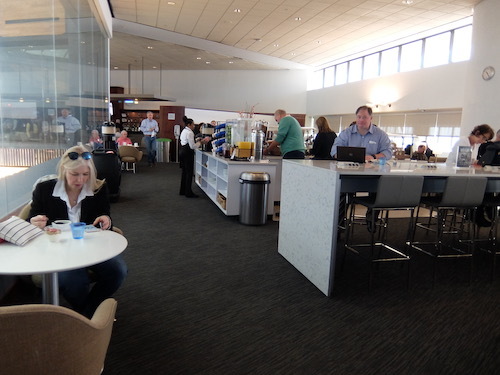 Around the lounge are different areas to sit and relax in including work cubicles, shared bar height seating, lounges and dining tables. 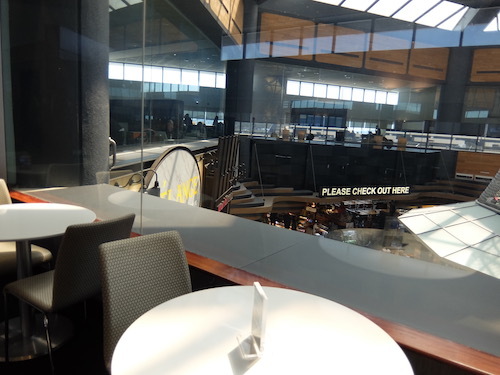 Overall the lounge was a nice place to relax before our flight, there are plenty of differnet seating options and the lounge is large with a good capacity.It is missing some of the finer touches that you expect in a modern lounge these days, they will come with the opening of the new Polaris lounge. 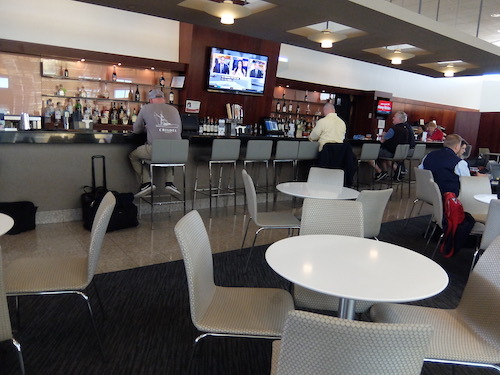 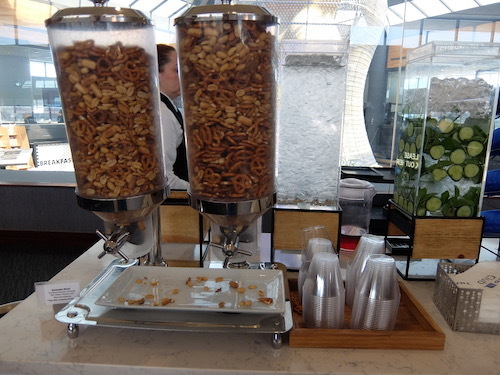 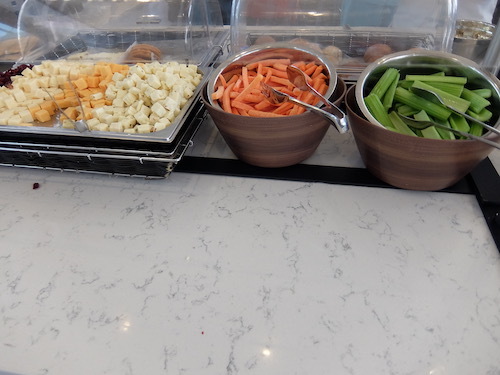 As United's New York hub, Newark should receive the new updated Polaris lounge soon. 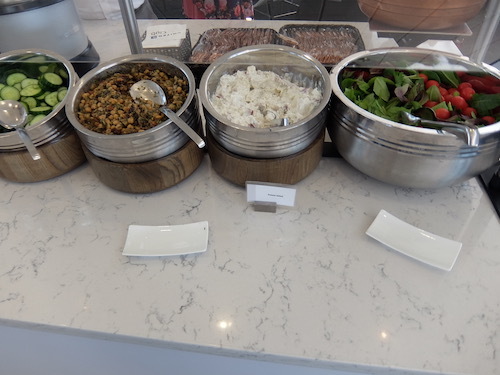 Update: The United Polaris Lounge will open on June 4th 2018. 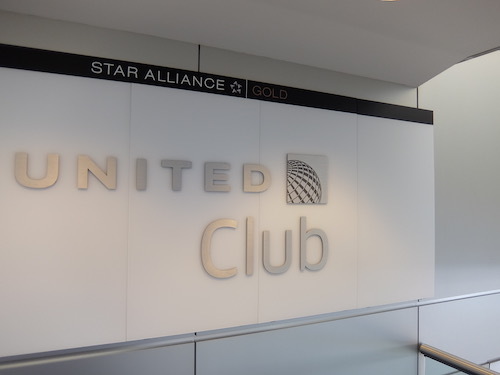 To book your United Airlines business class airfares, contact our Airfare Consultants. 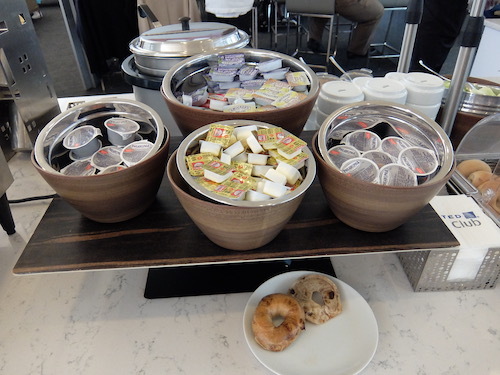 Vienna - New York: With Austrian Airlines. 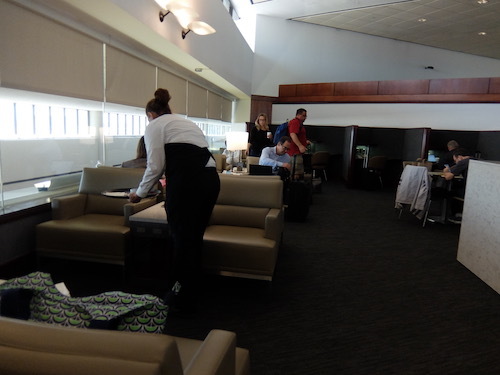 Los Angeles - Melbourne: With United Airlines.